How fast do you think you are? Do you know what a reflex and a reaction are? This experiments reveals the speed of your nervous system and the muscular system, which the nervous system innervates, and uses the Muscle SpikerBox Pro and Reaction Timer to help you calculate your own reaction speeds! Now that you've been introduced to reactions and reflexes, it is time to plug into our Reaction Timer and test your skills! In this experiment, you will compare reaction times using different stimuli: visual, auditory, and combination! Note: if your Reaction Timer looks different than what you see below, you may have a previous version. Check out the legacy instructions here! 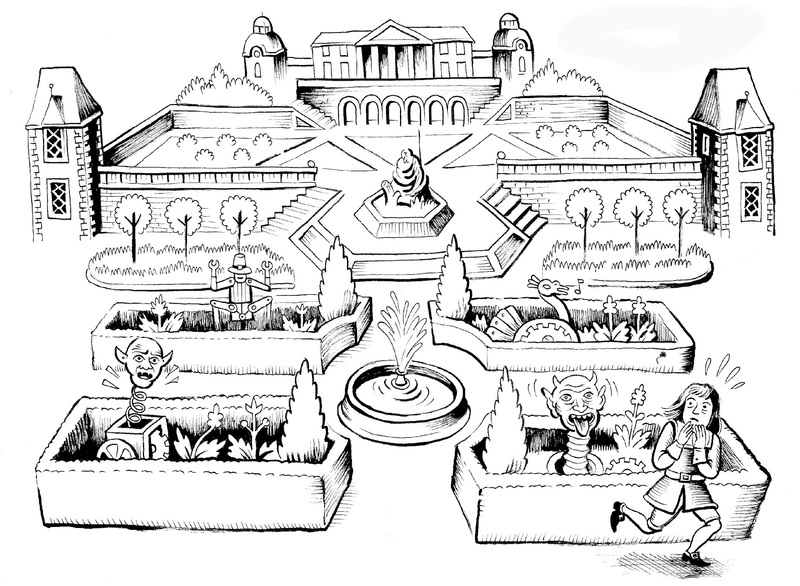 The story begins with René Descartes - as a young boy in France, René visited the gardens of the French Royal Palace St. Germain. The French king was a bit of a prankster: He had set up lifelike mannequins that would jump out and surprise garden flaneurs, along with other mechanical exhibits such as statues that would retreat as art lovers attempted to get close enough to see the details in the statues. René was surprised, literally, by these mannequins which jumped out at him as he explored the garden. He was curious how the system worked, and upon investigation, he found a hydraulic system of water pipes whereby stepping on a pressure plate caused almost "life-like" action in the mannequins. Descartes writes of this experience in his 1633 essay "Treatise of Man" which details his theory of "stimulus response." 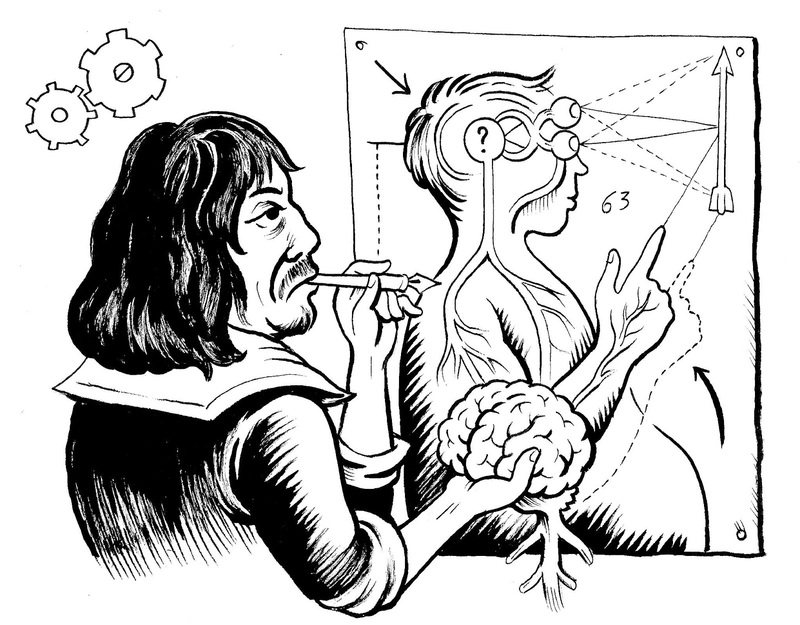 Descartes suspected that, much like the automated, hydraulic exhibits in the garden of St. Germain, the nervous system was controlled by "animal spirits" which would flow through the nerves of animals and people giving rise to automatic responses, or reflexes. Descartes' theory succeeded in describing stimulus response and reflexes as mechanistic, but its proposed mechanisms are false: Nerves are not hollow, nor is there a flow of animal spirits through our nervous system. 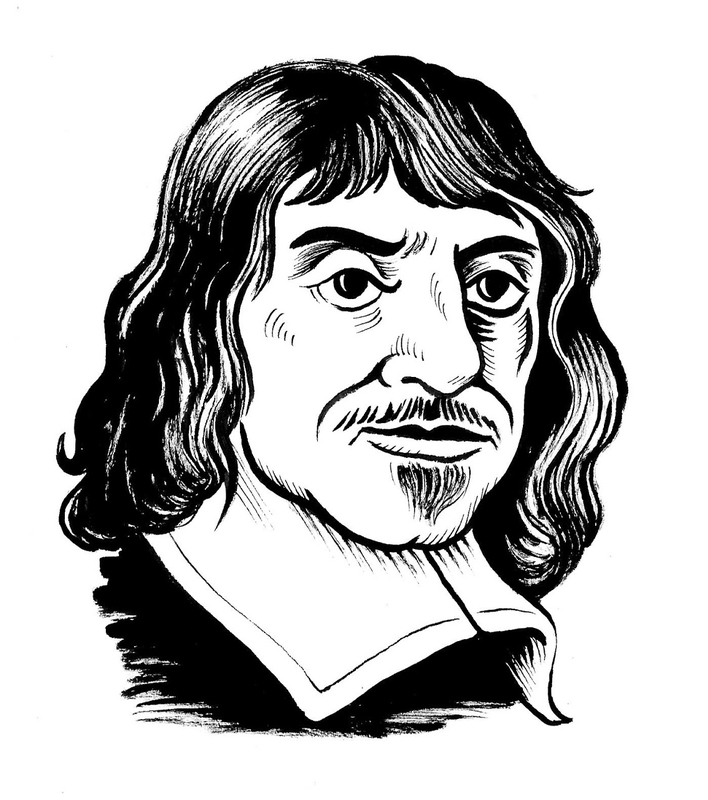 Had Descartes lived another 70 years (to the ripe old age of 124! ), he would have learned of Galvani and Volta's investigations into the role that electricity plays in the nervous system. Then, in the mid-1800s, scientists began studying reflexes and reactions with quantitative tests! 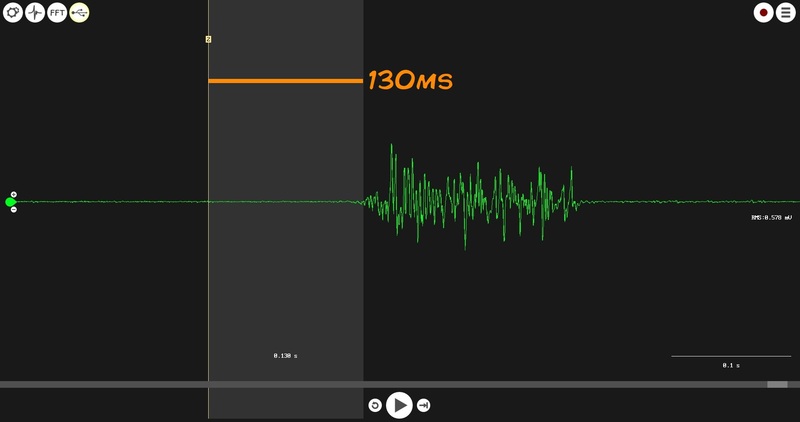 Reaction time tests, like you performed in the previous experiment with the ruler drop, help us understand how long it takes information to travel through our nervous system. However, as you likely experienced, the Ruler Drop experiment isn't perfect... there are a lot of possible confounding variables. It is an instructive lab which teaches us a lot about how to perform a rigorous, scientific experiment, but its results would have a hard time standing up to scrutiny. As a love letter to Descartes, we continue in this tradition of studying stimulus response. 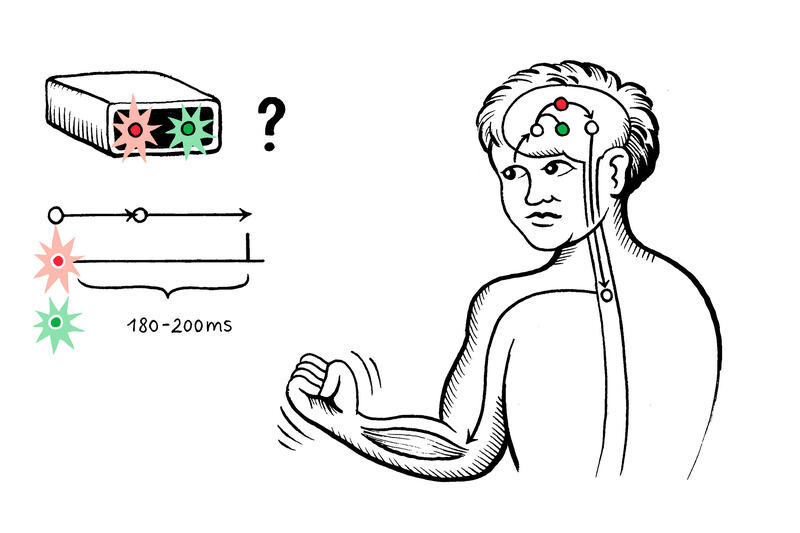 But now, with the Backyard Brains Muscle SpikerBox Pro and Reaction Timer we can use the electrical activity of our muscles to determine exactly how fast our nervous system can receive and send information! 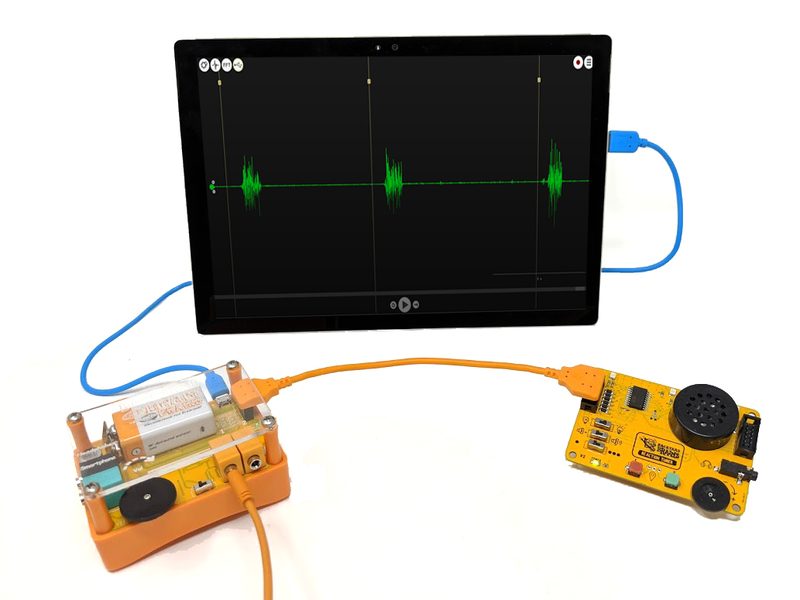 Plug the Muscle SpikerBox Pro into your recording device via USB or Audio cable. Connect the Reaction Timer to the Muscle SpikerBox Pro with the Orange Expansion Cable. Note: if your Reaction Timer looks different, you may have a previous version. Check out the legacy instructions here! Hook an arm up to the Muscle SpikerBox! The two red clips attach to the stickers on the user's forearm, and the one black clip attaches to the sticker on the back of the user's hand. Turn on and test your devices! PC users open up the SpikeRecorder app and check to see that you are receiving input from your Muscle SpikerBox Pro when you flex your muscles. Next, test the Reaction Timer. Make sure the Light and Tone switches are in the on position, and the random switch is in the off position, and then press the first button on your board! 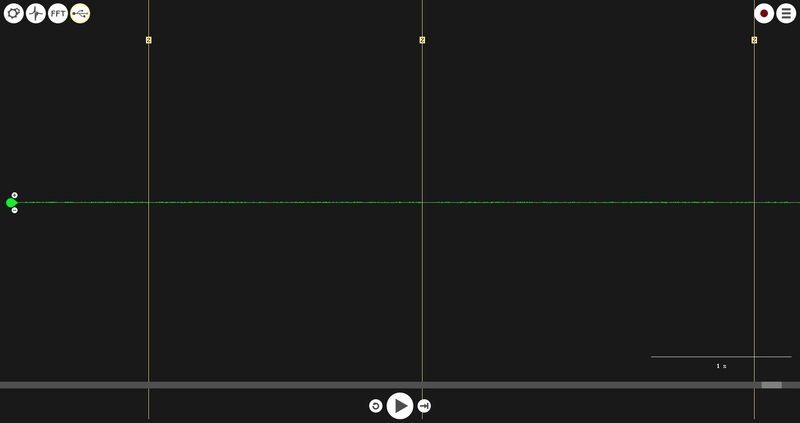 You should hear a sound, see an LED light up, and in SpikeRecorder you should see that a tick mark has been placed in your recording at the exact moment you pressed the button. If you don't hear any sounds through the speaker, make sure your the tone switch is in the on position, the black volume wheel is turned up all the way and that nothing is plugged into the headphone jack located in between the LEDs at the front of your board. For this step, you will need a partner! One of you will be the controller, the other the subject. You will record a Simple Reaction Time - how fast can you react with no distractions or instructions? Have the subject hook up to the Muscle SpikerBox and direct their attention to the Reaction Timer. Tell them their objective is to flex their muscle as fast as they can in response to hearing a sound or seeing an LED light up. For this experiment we will start with just the sound switched on and the controller will strictly use button 1 (leftmost of the two buttons). This is called a Simple Reaction Time test (SRT). The controller will press the button 10 times at random intervals. The subject will flex in response to the stimulus as quickly as possible. 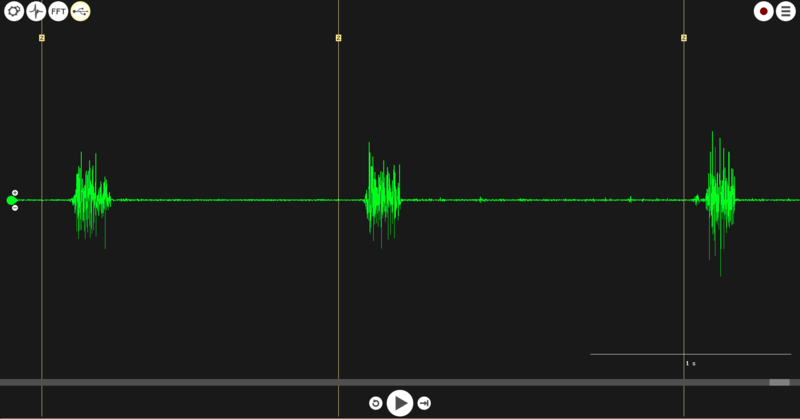 After the subject's reaction time has been tested 10 times with sound switched on, end and save the recording. Repeat the above steps using light as the stimulus. Then repeat again using both sound and light turned on! You want to end up with three different recordings, each with 10 reactions. Open up your recording in the app. Search for the tick marks. For each tick mark, click and drag from the tick mark to the beginning of the subject's muscle activity to measure the reaction time. For Smartphones, do this by long-pressing on the screen at the tick mark, then dragging to the beginning of the flex! 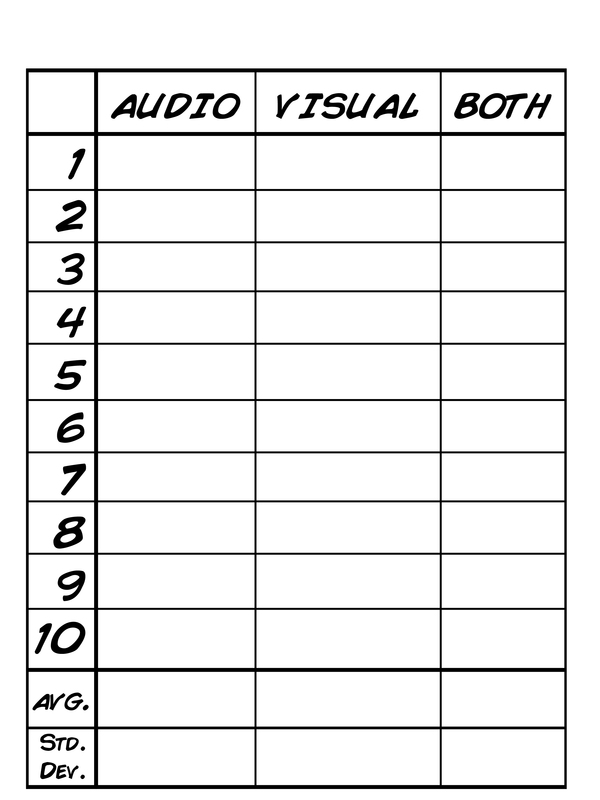 Record the reaction times and fill in the chart below! For this experiment, you will add a "distraction." Instruct the subject to flex in response to seeing the red LED light up, but now the experiment controller will add a distraction, presenting the subject with both red and green lights... what effect will this decision-making have on the reaction time speed? Let's find out! Set up your subject just as you did before. Tell your subject to flex only in response to the red light and not the green light. Perform several trials, then quantify your data just as you did for the Simple Reaction Time experiment. Now, compare with the results of the Simple Reaction Time Test - what do you see? One last experiment! To further complicate this neural circuit, we can continue to add instructions which the subject must follow. Hook up two sets of electrodes to record from both of your subjects arms. Tell your subject to flex their left arm in response to the green light and their right arm in response to the red light. Perform several trials, then again, quantify your data and compare it to the other tests. Talk about your results. Did your subject react quicker to the light, the sound, or the combination of both? What happened when you changed the instructions for your subject? When did your subject react the fastest and the slowest? Why do you think you got the results you did? Find more test subjects to create a larger sample size! Come up with your own ideas! You can take advantage of the different tones and lights in your own experiments. You can also see if different conditions make the reaction times faster or slower. A sleepy subject may be slower than a well-rested subject. Also, where you place your electrodes may make a difference: can you flex your right arm faster than your left? Can you clench your jaw faster than you can flex your thigh? Conduct your own experiments and share your results with us at hello@backyardbrains.com! Why do you think touch and audio stimuli have a faster reaction time on average? What do you think could explain differences in reaction time between different types of stimuli? Would you expect a difference in the average reaction times between a male and female? What about a more athletic person compared to a more sedentary person? Could you redesign the experimental setup to test tactile reaction times?